JASPER -- A Jasper woman was arrested overnight following a bloody incident. Jasper Police responded to a report of a woman bleeding around 4 this morning near Bohnert Park. 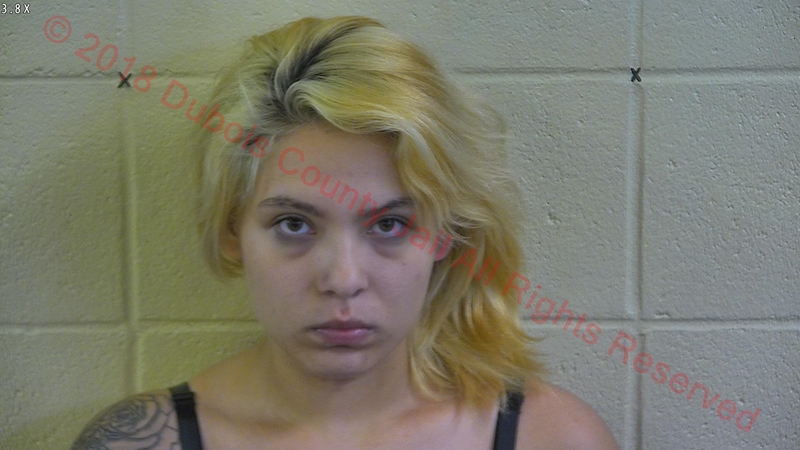 Police say 21-year-old Chelsea Hager of Jasper made verbal threats to the victim before allegedly attacking her with brass knuckles equipped with a knife. The victim was struck several times, sustaining injuries to her leg and face. Hager is charged with two felonies… Battery With a Deadly Weapon and Intimidation With a Deadly Weapon. She’s also charged with Battery. That’s a misdemeanor.